First look at Fourth Avenue Residences by AllGreen Properties. Back in December 2017, AllGreen Properties acquired three sites along Bukit Timah Road within five days. The site on which the future Fourth Avenue Residences is to be built was the third of these sites. The previous two were acquired through collective sale efforts. The interesting thing about this particular Fourth Avenue site is that even though it is located right next to Sixth Avenue MRT Station, the price which AllGreen paid was 21 per cent below what it paid for Royalville, which it acquired earlier. Royalville is less than 500 metres away from the future Fourth Avenue Residences. Ok, so enough of the technical stuff. Let’s get down to the good, the bad and the downright ugly facts of Fourth Avenue Residences. 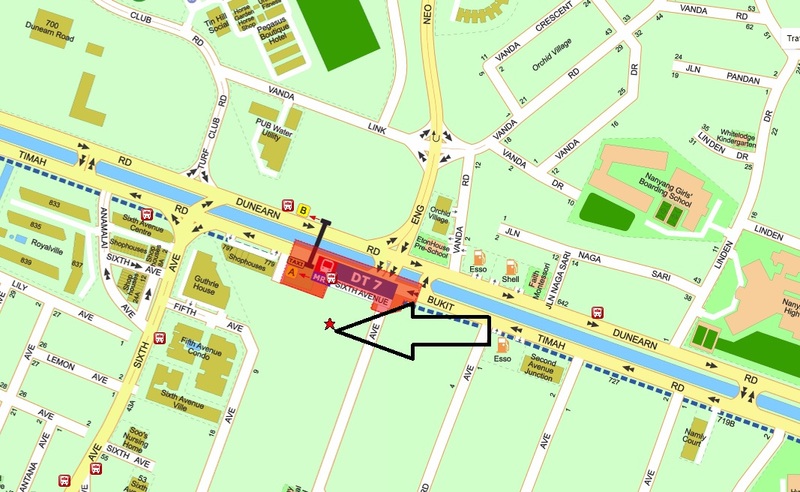 You cannot get any closer to Sixth Avenue MRT Station unless you are willing to live in the MRT Station. Sixth Avenue is along the downtown line and is only four MRT stops to Newton MRT Station or seven MRT stops to Bugis MRT Station. 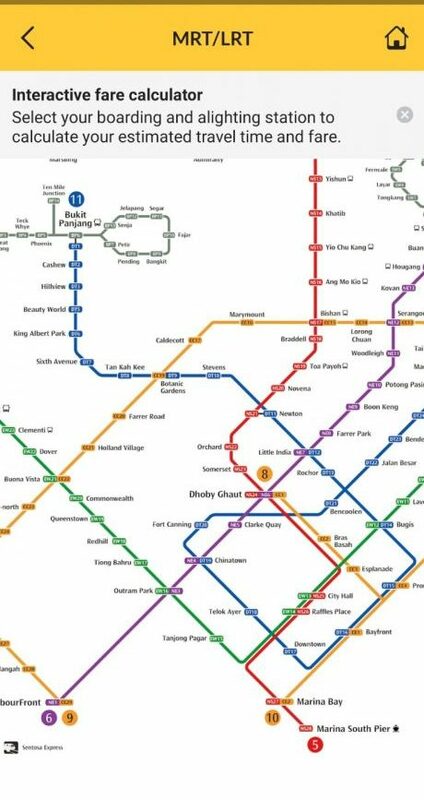 From Newton, you can switch over to the North-South Line and take one station to get to Orchard MRT. At Bugis MRT Station you can switch to the East-West Line and get to City Hall MRT Station in one stop or Raffles Place MRT Station in two. Safe to say, residents at Fourth Avenue Residences will be very well connected. Bukit Timah is a very popular upmarket neighbourhood. It is a neighbourhood that is mainly filled with private housing. In fact, most of the condominiums line the main Bukit Timah Road while the smaller roads are lined with landed properties. Some of these areas are zoned as good class bungalow areas. Thus generally the residents of Bukit Timah belong to the more affluent segment of Singapore residents. There is also a sizable expatriate community in this area. Thus if you are looking to purchase a property to rent, there may be a good chance that your tenant will be a foreigner. 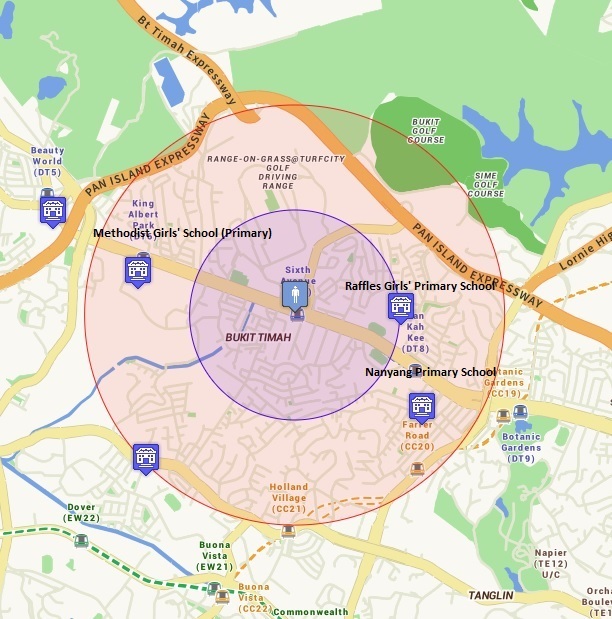 Bukit Timah is perhaps a location which is littered with the highest number of well-known schools. The primary schools in the vicinity include Raffles Girls’ Primary School, Nanyang Primary School and Methodist Girls’ School (Primary). All of these three schools are extremely popular and there are parents who will buy or rent properties close to a good school to increase the chances of their children getting into these schools. Even though developers in Singapore are generally well regulated, there are still developments that experience delays and there are some that even struggle to complete. Two good examples are Sycamore Tree in Joo Chiat by Astoria Development and Laurel Tree in Hillview Terrace by Lerida Pte Ltd. These developments have crossed their contractual Temporary Occupation Permit (T.O.P.) dates. Some of these buyers have proceeded with legal lawsuits against the developer. AllGreen Properties are an extremely experienced developer with a very extensive track record. Their past projects include Amber Point, [email protected], Changi Green Cairnhill Residences, Riversails, The Shaughnessy and Yong Ann Park. In fact, their track record is very extensive and their projects are very well built. Don’t worry, the properties will not have to conform to the shape of the land. This is just a personal thing where I find regularly shaped plots of land generally having a nicer layout in terms of where facilities are placed. Properties along Bukit Timah are generally freehold. However, this being a plot of land that was released by the government, Fourth Avenue Residences will be built on a 99-year leasehold land. I heard it’s gonna be sold for $2,200 per square foot perhaps? Well, generally I really do think that this project will be something to look forward to. There is no perfect project in Singapore and when we talk about the positives and negatives, we should look at everything as a whole and decide whether a new project launch deserves a look or not. I do think that Fourth Avenue Residences does have many positives which do outweigh the negatives. We seem to be setting new price benchmarks especially with average prices at developments like The Woodleigh Residences going for more than $2,000 per square foot. I do think that if you were to compare Woodleigh against a neighbourhood like Bukit Timah and if prices are rather similar, Bukit Timah does seem like a better buy. Oh yes, I’ve reiterated… How is it that The Woodleigh Residences is priced so much higher than Park Colonial which is just across the road? For more information about Fourth Avenue Residences like brochures (will upload when released), price list and videos, visit the Invest Singapore Property page. I’m guessing Fourth Avenue Residences will be launching 1st quarter 2019? For my in-depth property reviews, do visit my Investment Blog at www.daryllum.com. Click here for my Singapore Property Reviews. (2nd January 2019) Update: Here is my review of Forth Avenue Residences after more information about the project was released. Previous articleKuro Maguro – I Enjoyed Excellent Bluefin Tuna Sashimi At 50% Off.